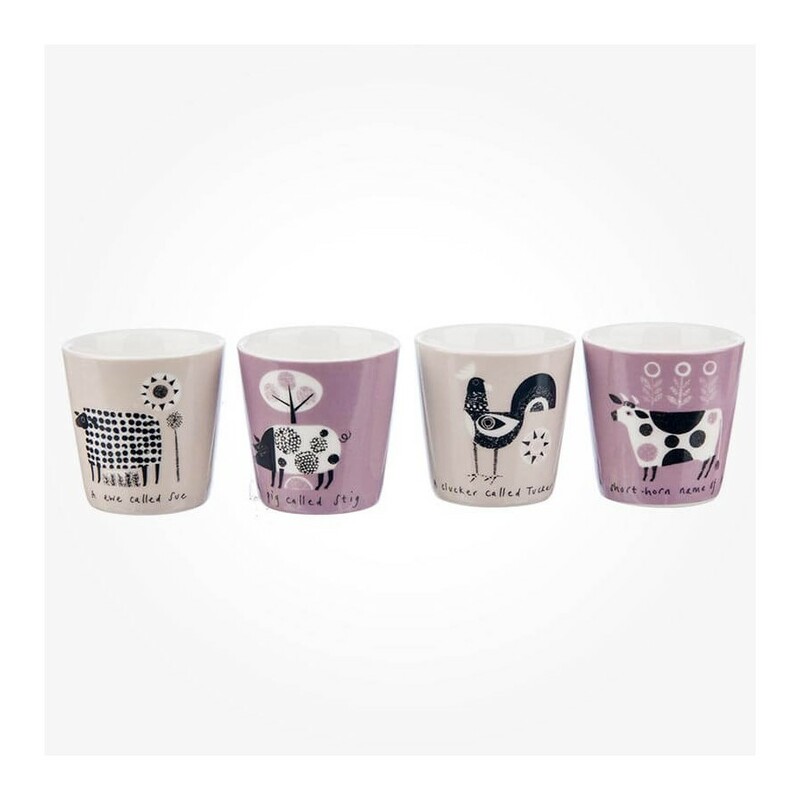 Jane Ormes was born in Bromley and graduated with a degree in Surface Pattern Design but now concentrates on producing whimsical and decorative limited edition prints which are available from selected galleries throughout the country. Jane spends any spare time daydreaming about Daniel Craig and ginger flapjack. 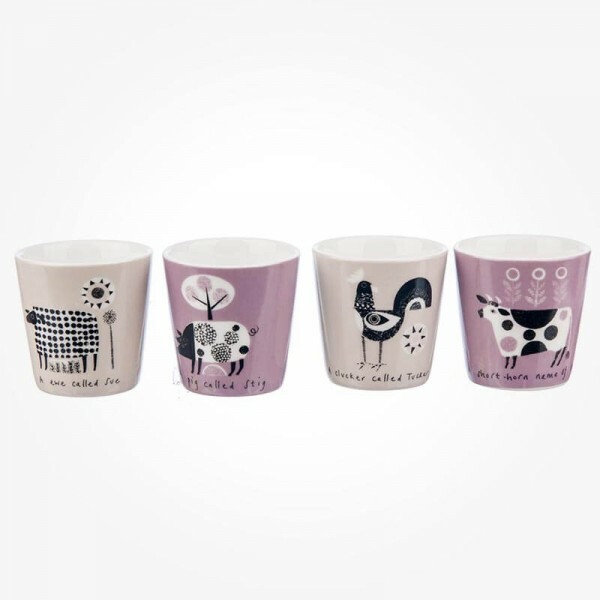 These 4 egg cups creativeness features the Scandinavian animals; the pig, ewe, short-horn and clucker printed all on harmonised two tone background colours. The egg cups come in a plastic hard case and is good for a gift.